—  (PDF) ﻿社会保障制度に関する勧告﻿ (Report). 社会保障制度審議会. (昭和25年10月16日). 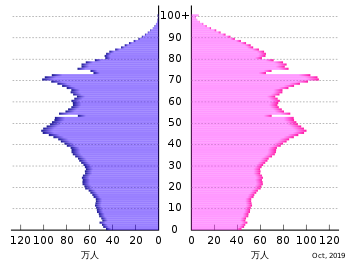 http://www.ipss.go.jp/publication/j/shiryou/no.13/data/shiryou/syakaifukushi/1.pdf. ^ a b c ﻿OECD Social Expenditure Statistics﻿ (Report). OECD. (2012). doi:10.1787/socx-data-en. http://www.oecd.org/els/soc/expenditure.htm. ^ 国立社会保障・人口問題研究所 2013, p. 6. ^ a b 国立社会保障・人口問題研究所 2013, p. 5. ^ ﻿医療制度の国際比較﻿ (Report). 財務総合政策研究所. (2010年6月30日). Chapt.1. http://www.mof.go.jp/pri/research/conference/zk087.htm. ^ a b c d e f 厚生労働白書 2011, p. 35. ^ a b c d e 厚生労働白書 2011, p. 42. ^ a b 厚生労働白書 2011, p. 55. ^ 厚生労働白書 2011, p. 64. ^ a b 厚生労働白書 2011, p. 71. ^ ﻿World Population Prospects: The 2015 Revision, Key Findings and Advance Tables﻿ (Report). United Nations, Department of Economic and Social Affairs, Population Division (2015). (2015-07-29). ESA/P/WP.241.. http://esa.un.org/unpd/wpp/Publications/. ^ a b c d e ﻿社会保障費用統計（平成24年度）﻿ (Report). 国立社会保障・人口問題研究所. (2014年11月1日). http://www.ipss.go.jp/ss-cost/j/fsss-h24/fsss_h24.asp. ^ ﻿平成25年度決算の説明﻿ (Report). 財務省. (2014). 第2 一般会計. http://www.mof.go.jp/budget/budger_workflow/account/fy2013/ke_setsumei25.htm. ^ OECD 2009, p. 99. ^ a b c OECD 2014, Chapt.3.11. ^ a b OECD 2009, p. 119. ^ a b c d OECD 2009, Overview. ^ a b ﻿社会保障国民会議 最終報告﻿ (Report). 社会保障国民会議. (2013年11月4日). http://www.kantei.go.jp/jp/singi/syakaihosyoukokuminkaigi/. ﻿厚生労働白書 平成24年版﻿ (Report). 厚生労働省. (2012). http://www.mhlw.go.jp/wp/hakusyo/kousei/12/.